We always tend to back up with iCloud whenever we are preparing to upgrade or jailbreak our iPhone X, iPhone 8 or iPhone 7, iPad, etc. iCloud brings much convenience. It enables to make a backup without having to connect the device to desktop computer. In most cases, restoring from iCloud goes on smoothly with few hassles. But occasionally, you are unable to restore from iCloud backup when something goes wrong. If you have tried several times but still failed, then kill the process. Don’t just turn your device off in case more issues will be caused. Here are some amazing solutions to help you out. Once you have connected your device to a reliable WiFi network and your device will be ready for the restoration process. As soon as you select the option of restore, you will get the notification of file restored but you cannot access the file, photos or videos on your phone. There might be no problem with the iCloud or your phone. Remember that the rate at which your files will be restored depends on the size of the file and the speed of the internet. Sometimes the files are heavy due to which they take time. There are chances that suddenly the signals if the WiFi dropped below the not limit due to which the files are taking extra time. It is better that you wait for a few minutes. One of the biggest reasons due to which the restore does not happen properly is because of the issues on the WiFi network. There are chances that your WiFi is not connected to your phone or it was disconnected in the middle of the process. In this case, you will get the message that the last restore wa not complete or some of the files cannot be restored. 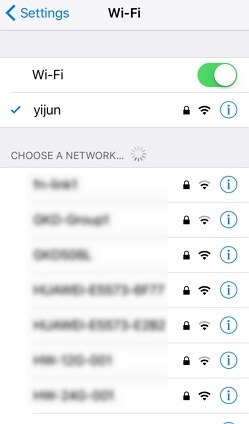 In order to resolve this issue, you have to check your iPhone and assure that it is connected to the WiFi. Remember that the restore will never happen on the cellular data so you have to be careful. Restart the WiFi it is causing issues and within seconds you will notice that the restore process will start and files will be transferred. The most reliable ways to restore data on your iPhone is to use the iMyFone D-Port Pro. It is a high-tech software that allows you to quickly restore all the files or restore a specific data to your iOS device. 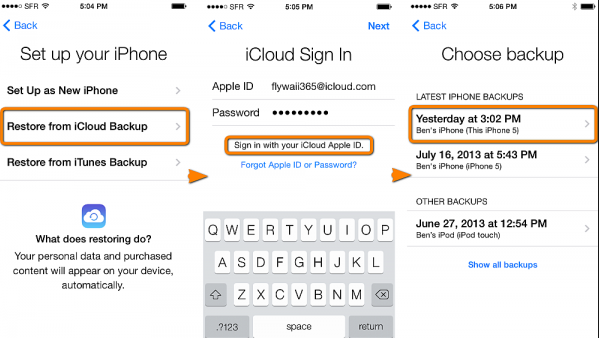 You have to follow the given steps to restore specific data from iCloud backup. This program enables you to restore all the backup data or restore some selected data to iPhone, iPad or iPod. It is completely free to make a full backup or make a partial backup of your device. In addition to backup and restore, you can also export more than 18+ types of data from the device or from the backup to computer with this tool. It is highly recommeded by a lot of technology websites, such as Cult of Mac and Make Use of, etc. Step 1. Download, install and launch iMyFone D-Port Pro on your computer. 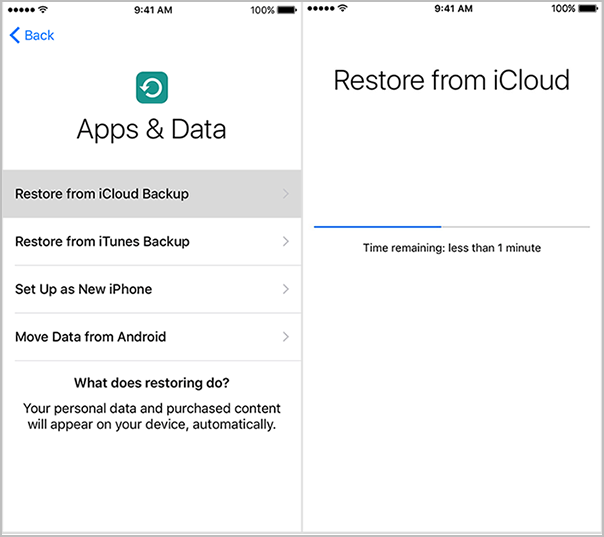 Click on the option of "Restore Backup to Device" option and then select an iCloud backup. If your iCloud backup is not in the backup list, click "Download iCloud Backup". You will have to log in to your iCloud account. Your information is secured with iMyFone. Step 2. 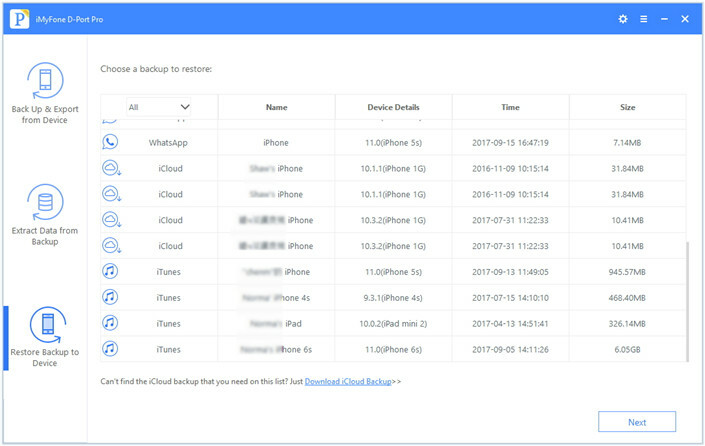 Once you are logged in all the backup files of the iCloud will appear. 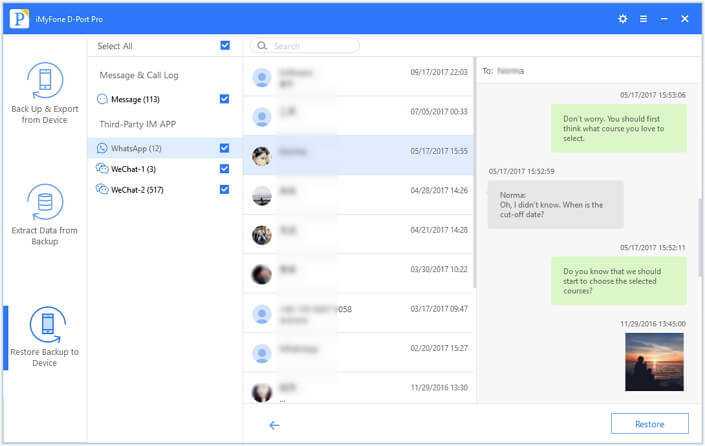 You can preview and select the files like your chats, messages and WhatsApp chats and select the option of next. iCloud files will start to download. Step 3. Now you have to select the type of data that you want to be scanned by the system. It will increase the speed at which the files are downloaded. Select those that you want back in your system and click on the option of restore. 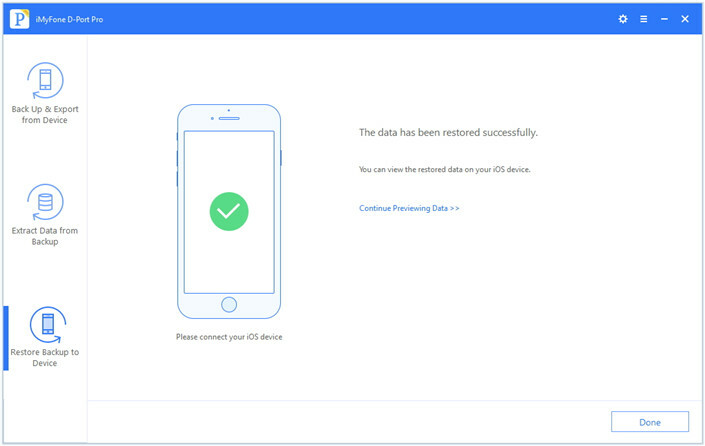 The restoring process will last for a moment, after the process, you can view the data on your device. You should know that the iCloud do not work with the older software of iOS. In case you are still using the older operating system your files cannot be restored. So the best solution to this problem is that you look for the software updates and assure your iPhone has latest iOS version installed. Once you have updated the software you can quickly restore the files you want. There are several bug fixes and glitches introduced with the latest operating system and the iCloud is updated as well. So it loses the compatibility with the older iOS version. Recently, another issue that has been noticed with the iCloud backup is that once you will restore the files from the software, rest of the files will be corrupted. It means that next time when you will try to restore you will get the message that your files have been corrupted. The best solution to this issue is that instead of worrying about the older backup you should create a new one. With the new backup, you can restore the files quickly. 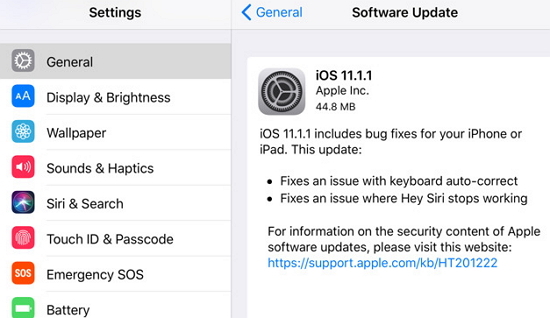 Apple is introducing new features in its software and this is the reason sometime after the upgrade new versions do not respond as effectively as they used to. In case none of the above-mentioned solutions work for you and you are unable to restore the files on your device the best solution is that you contact Apple support or the carrier of your phone. Whether you have the warrant or not there are chances that your software is not responding properly. You have to share the issue with the specialist and they will give you the best solution. They might ask you to bring your iPhone to the Apple service center because if there are some issues in the phone, experts will resolve them to assure that you will not have to face the same issue again. In case that you are unable to restore from iCloud backup do not judge so rapidly that your device is not working properly or there are some other issues. Look for the solutions instead of wasting your time wondering what happened. You can use any of the above-mentioned solutions that you are most comfortable with. The best choice will be the utilization of the iMyFone D-Port Pro. It is a reliable software that will meet all your data restoration requirements so that you will never have to suffer from the issues again.